Check out the video above to see how it works. Here is a cool new feature for the Creative Cloud users. 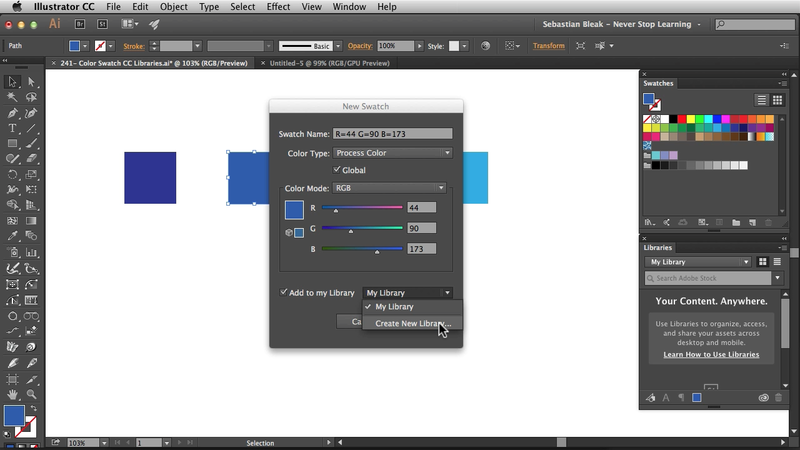 Use “Add to my Library” to have access to your Color Swatches on any machine you sign-in to. 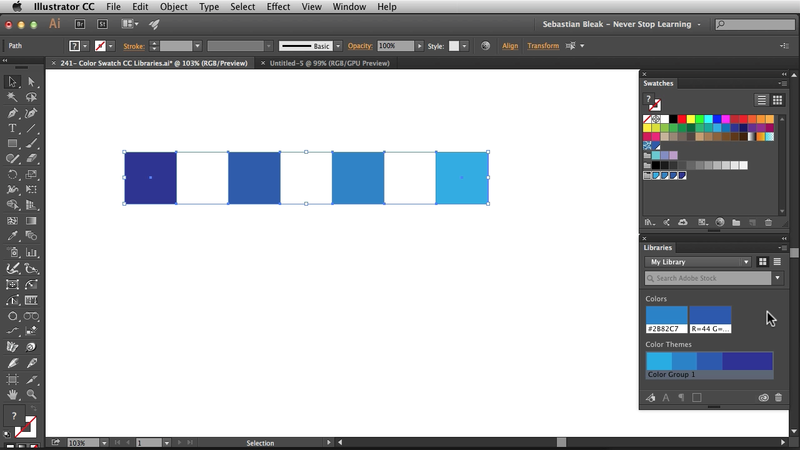 I used some basic shapes to load new colors in my Swatches Panel. 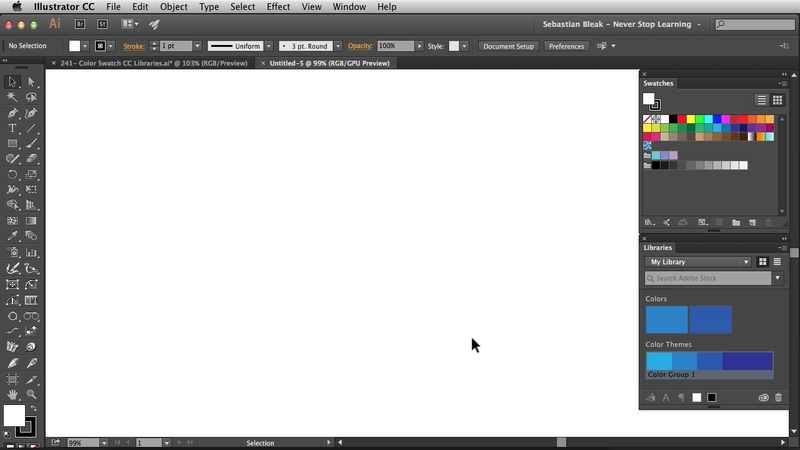 With this new feature I was able to load the new colors into my Creative Cloud Library at the same time. The Swatches panel will have my new colors in this document but the Libraries panel will follow me on any machine. Here’s a new blank document. Notice the Swatches have been rest back to the basic set but the Libraries panel has our new colors. The always come along for the ride as long as you’re signed in. This entry was posted in Creative Cloud, Never Stop Learning, NSL - Adobe Illustrator and tagged adobe, adobe grind, adobe Illustrator CC, adobegrind, creative cloud, design, graphic design, illustration, illustrator, never stop learning, new features, postaweek, sebastian bleak, sebastianbleak, tutorials, vector, vectors, workflow. Bookmark the permalink.